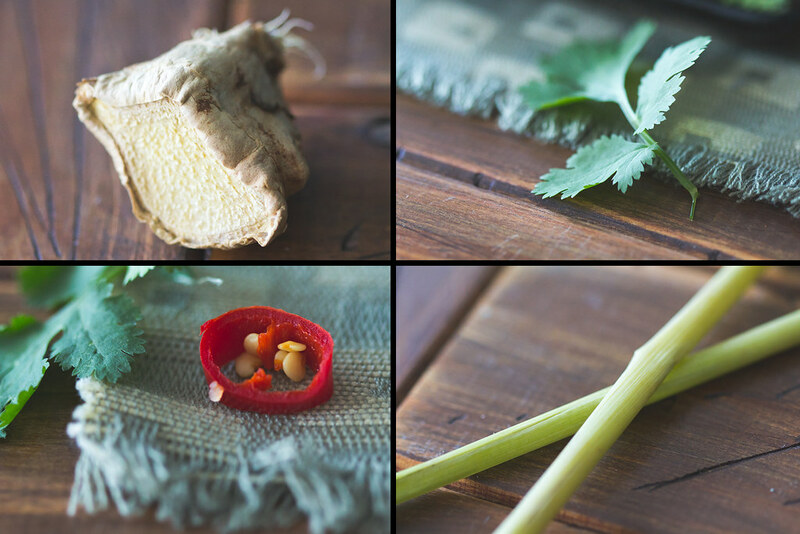 When I was younger, so much younger than today, I never needed any ginger or other aromatics in my food. Every time I inadvertently chewed on a scallion or piece of ginger in my food, my face would pucker up and my entire meal would be ruined. Thankfully like most kids I grew out of it and nowadays OMG, sometimes I make ginger tea just so I could experience the sweet numbing spiciness of the ginger pieces. I’d like to think that my parents are also glad, because and old Chinese saying goes, you eat scallions (Cong in Chinese) to make you Cong Ming (Clever). 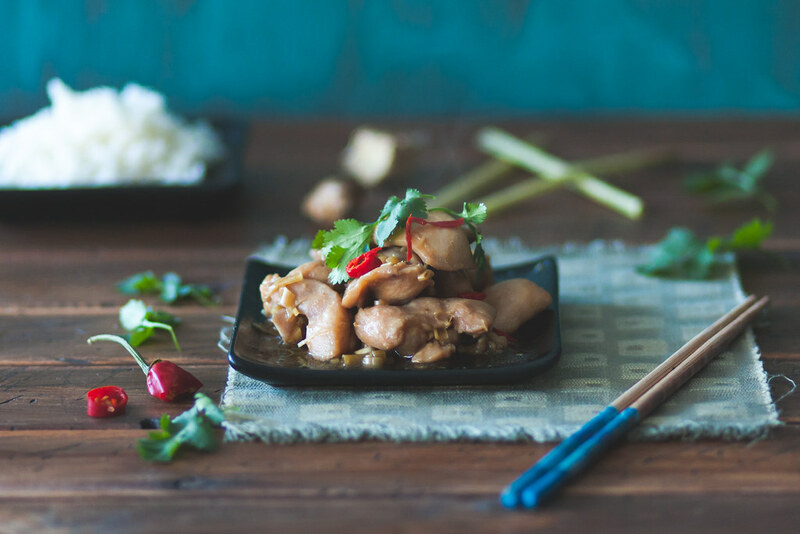 This recipe is my adaptation of Luke Nguyen’s ginger chicken from his brilliant book Songs of Sapa. 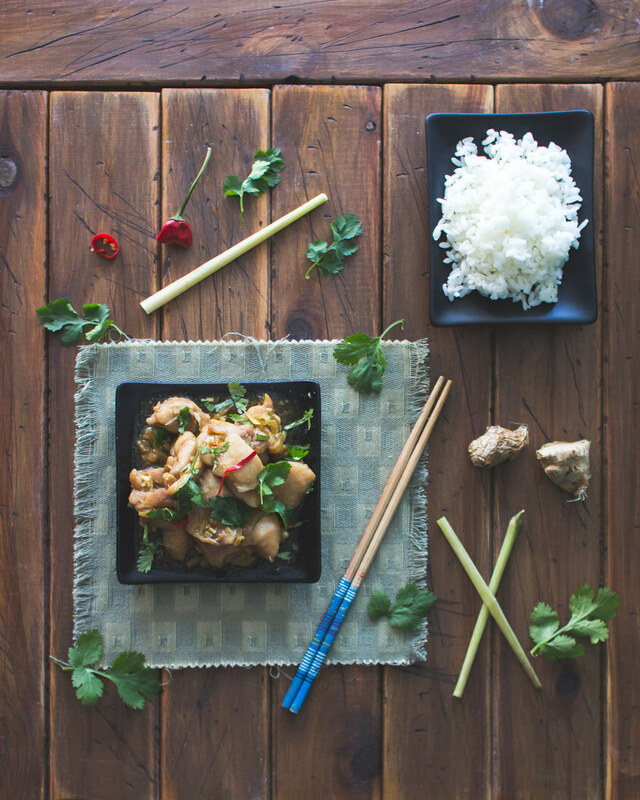 It’s filled with great Asian aromatics and great for a quick weeknight dinner. 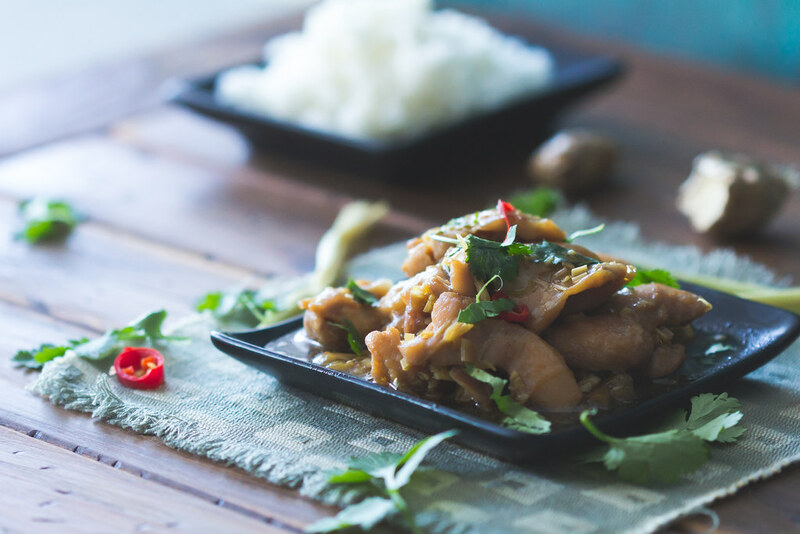 You can marinate the chicken overnight to save time. Heat a wok or similar pan on medium, add the oil, ginger, chilli and lemongrass. Stir fry until fragrant. Turn heat to medium high, add the chicken and toss to seal. Add the remaining fish sauce, brown sugar and coconut water to the wok. Toss and combine well. Cover and simmer for 5-7min or until chicken is cooked through. Take the cover off. Turn heat to high and reduce liquid by 1/2 or conversely you can add a corn flour slurry* to thicken the stir fry. Transfer dish to serving plate, garnish with the coriander leaves and serve with rice. *to make corn flour slurry, mix 1 teaspoon cornflour with 1.5 tablespoons of water. Stir to combine well, then slowly drizzle into wok whilst tossing the stir fry. This should thicken the liquid in the dish.